A couple of weeks ago, even in my wildest dreams, I wouldn’t have imagined that I would be writing this article right now…and I have a lot of crazy dreams. But, yes, our prayers have been answered, our acne is on its way to being cleared, and it turns out the world is okay sometimes after all. 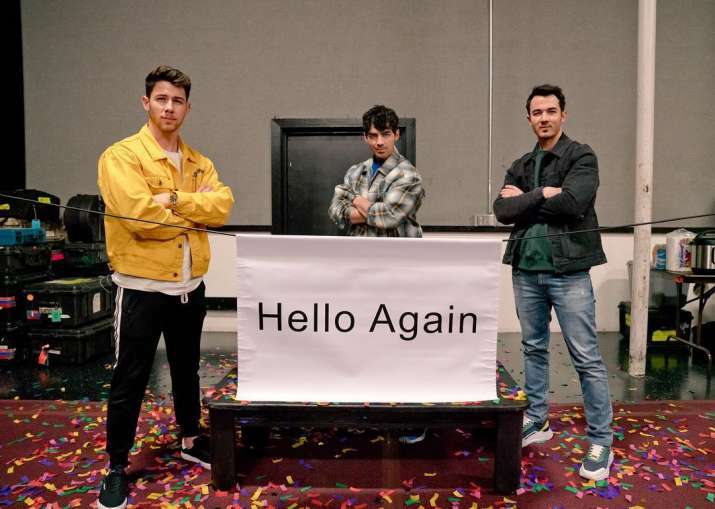 I’m sure the news has already graced everyone’s Twitter feeds and daily conversations, but in case anyone lives under a rock in “Australia” and missed the 411: our favorite boy band has returned to us. Is it the “Year 3000” or something? Because I feel like I’m in a fever dream, and I’m “Paranoid” that this is too good to be true. But no, it’s true! They’re really back, and all my childhood memories are hitting me with full force. Of course, it was only natural that I stayed up for the release of the “Sucker” music video at midnight (many squeals and crazy dance moves were involved). Watching the video had me thinking “Hello Beautiful” but also “S.O.S!” How am I supposed to cope with all of these feelings? It’s time to get them off my chest, otherwise I’ll be “Burnin Up” from the effort to hold them back. My adoration can be traced back to the fourth grade when I first heard the Jonas Brothers on Radio Disney. Remember Radio Disney? The radio station of happiness and iconic pop songs? (The radio station that I totally did not call hundreds of times to try to be on?) Yeah, that one. I was immediately entranced; they “Got Me Going Crazy” in no time at all. I mean, come on, JoBros! “When You Look Me in the Eyes”, are that talented and look that cute, how was I, and all the other defenseless preteen girls around the country, not supposed to fall in love with you? I was in so deep that when I found out the Jonas Brothers were coming to my hometown and learned I couldn’t go due to a family trip to Hawaii, I had an absolute meltdown. I look back on this and cringe a little, but young me knew Hawaii was always going to be there and the Jonas Brothers were not so immortal. But it turns out, my chance to see them live might still be in the cards. If I, and all the other women in their 20s whose love for the Jonas Brothers has awakened just wait “A Little Bit Longer,” a tour could be in our midst! Anne is in the class of 2020 at Pitt and is majoring in English Literature with a minor in German and Creative Writing. She loves to read, watch movies/TV, and make every situation as awkward as possible.